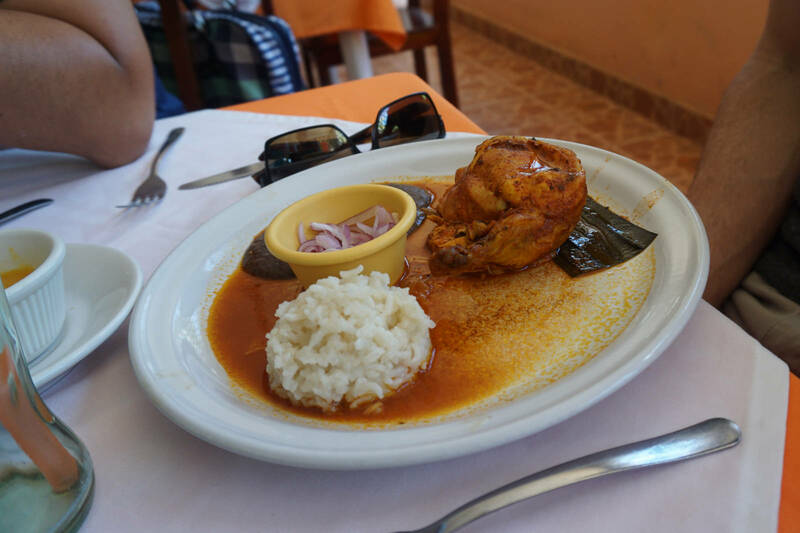 This is part two of a three part series highlighting Mérida, Mexico and the surrounding Yucatan region. 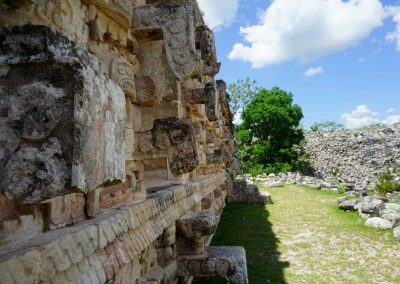 In part two, I’ll focus on the nearby ruins of Uxmal and Kabah, and the small village of Santa Elena. 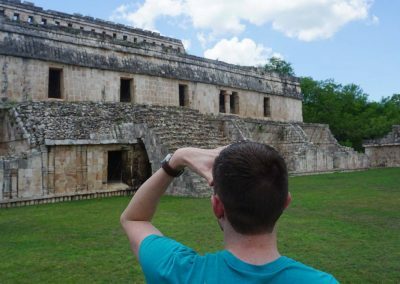 As we were planning our trip to Mérida, we knew we wanted to spend a fair amount of time outside the city and visit the nearby ruins. Well, in case you were unaware, there are a LOT of ruins near Mérida. 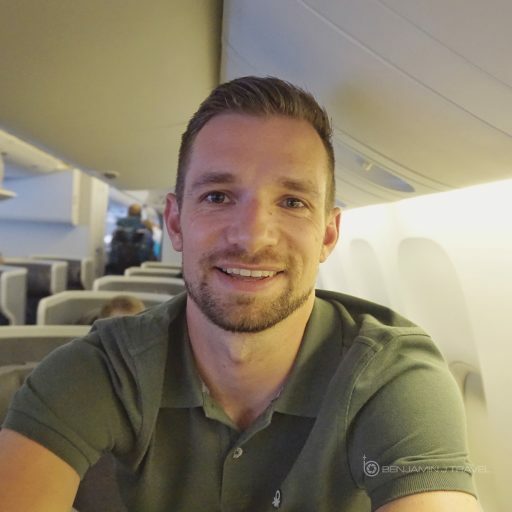 We asked for a few opinions and did a lot of online reading. Chichen Itza is far and away the most well know of the Mayan ruins in the region. 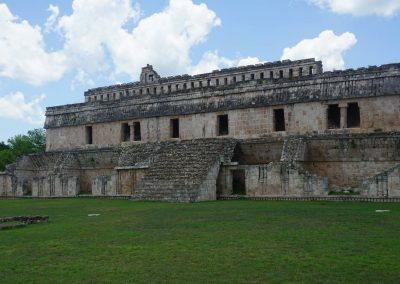 However I quickly learned that Chichen Itza is very crowded, touristy, and you’ll be bombarded with souvenir vendors. 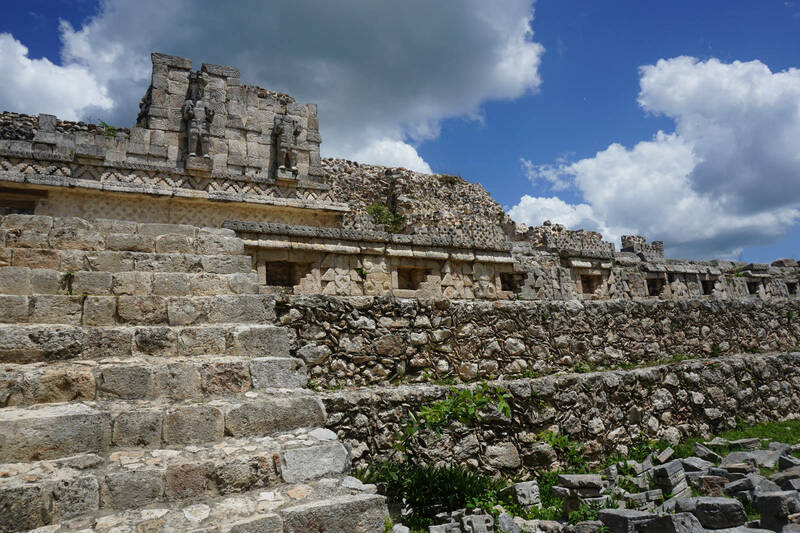 This didn’t sound ideal so I explored more about Uxmal which seemed to be the dark horse winner. 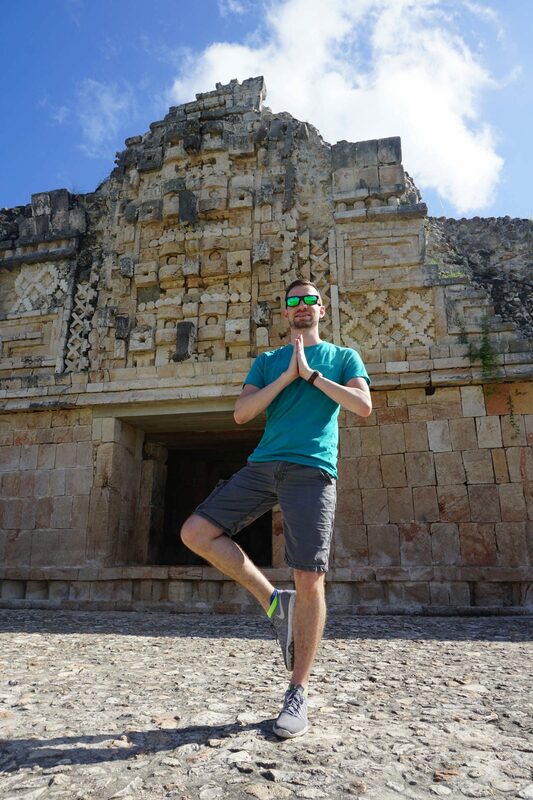 Most of our second day of our Yucatan trip was spent exploring Uxmal, Kabah, and Santa Elena. 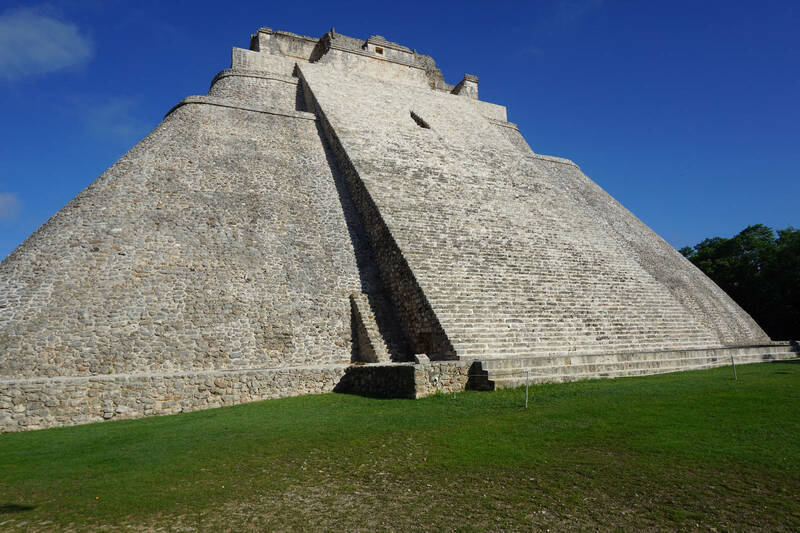 We ultimately decided on a small group tour to Uxmal and Kabah in one day. 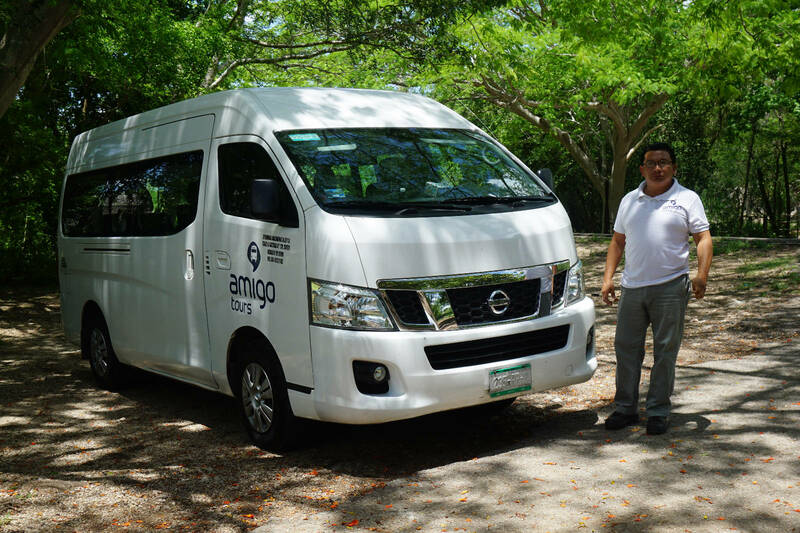 We selected an early morning tour which picked us up from our hotel just before 7 AM. And while I understand that getting up this early on vacation isn’t ideal, I strongly recommend it. 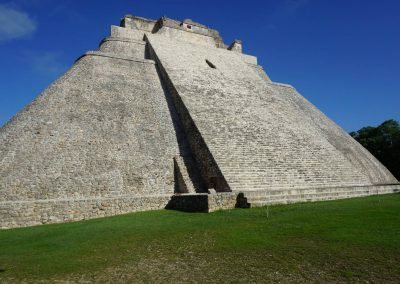 We headed directly to Uxmal first after a quick stop at a store for coffee and snacks and arrived at Uxmal at 8 AM, just as the gates were opening. 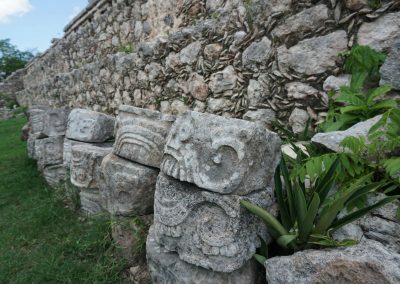 We were the first group to enter the ruins, although there were only a handful of other visitors at this early hour. Our guide was bilingual and gave the tour in both Spanish and English although Chris and I were the only English-speakers among the group. 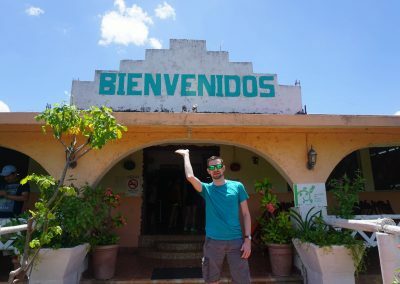 I do enjoy bilingual guides as it give me a chance to absorb another language. We walked around with our guide for about 2 hours before exploring a good portion of the ruins. 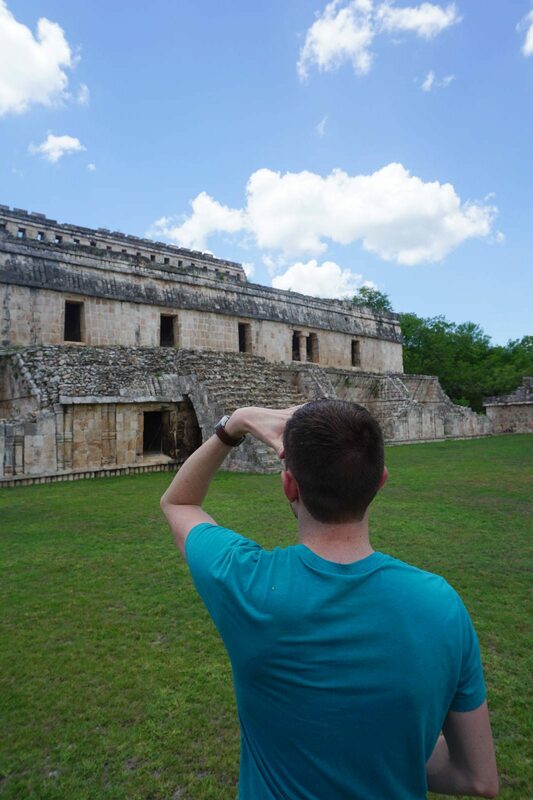 We were then given a free hour to explore the ruins on our own. 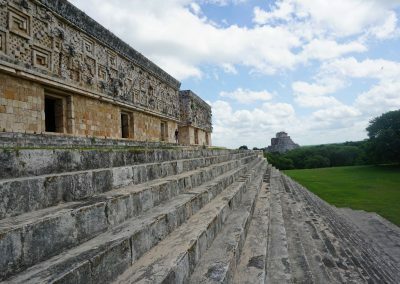 The ruins at Uxmal are beyond impressive. 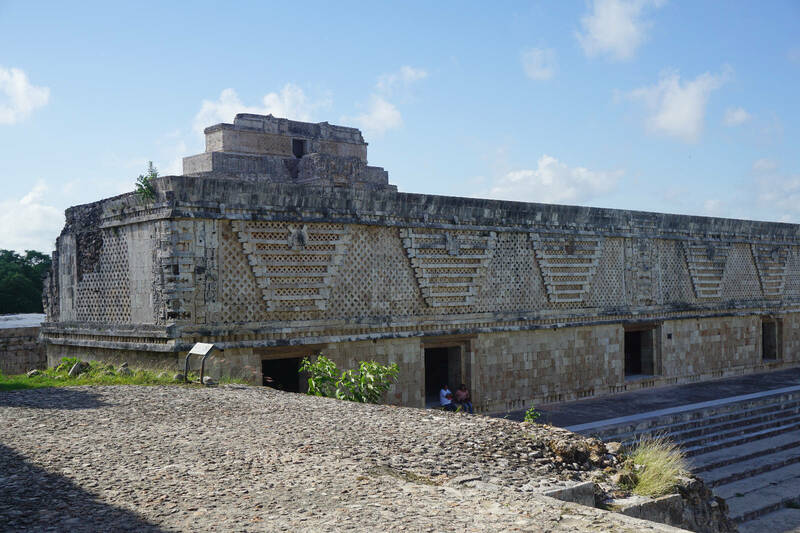 The preservation and restoration of these Mayan ruins is just incredible. 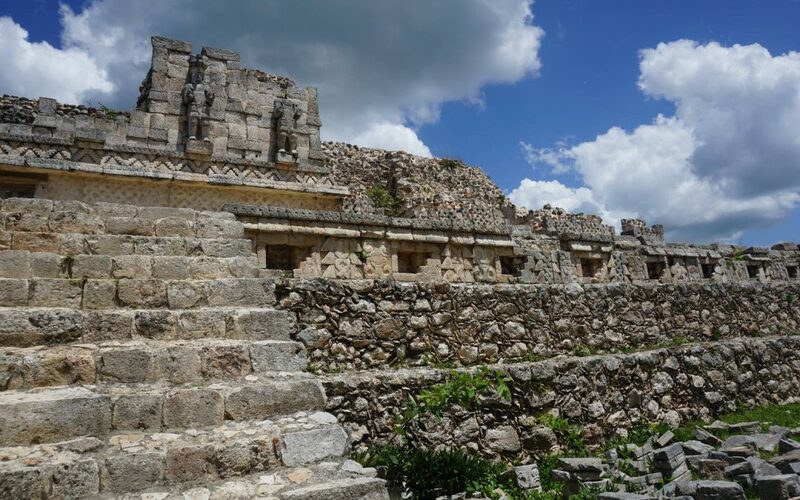 Uxmal is a display of the predominant building style during Mayan times. 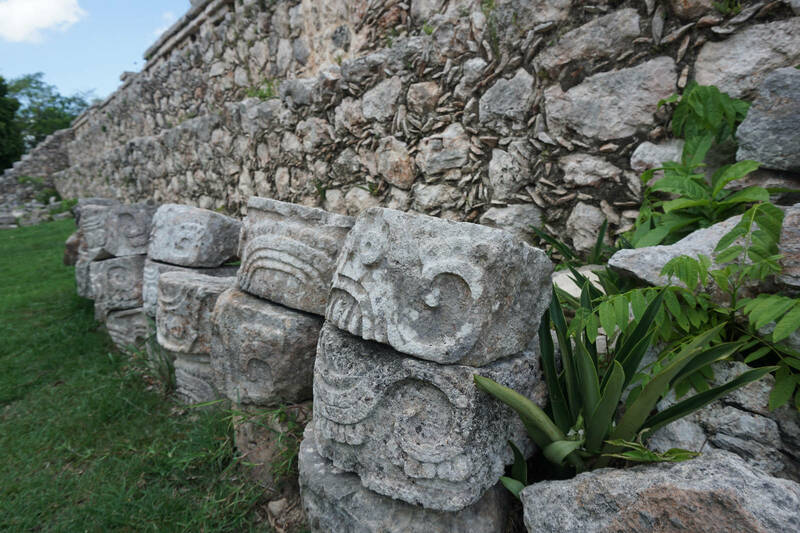 Unlike Tulum, you are able to climb on many of the ruin sites and explore. 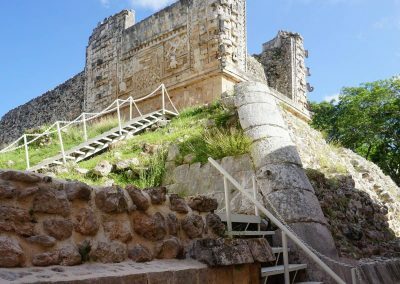 There are a handful of areas that you cannot walk but overall, you have free reign to wander the site. We headed out around 11 AM, just as the crowds were starting to arrive. 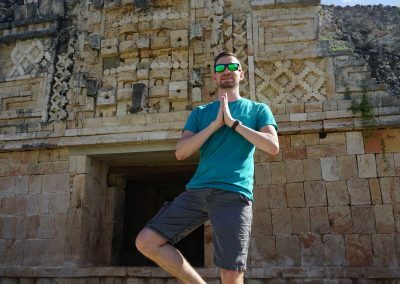 Uxmal does have a few souvenir shops and a cafe but it’s very peaceful compared to the chaotic plaza around the entrance to Tulum. 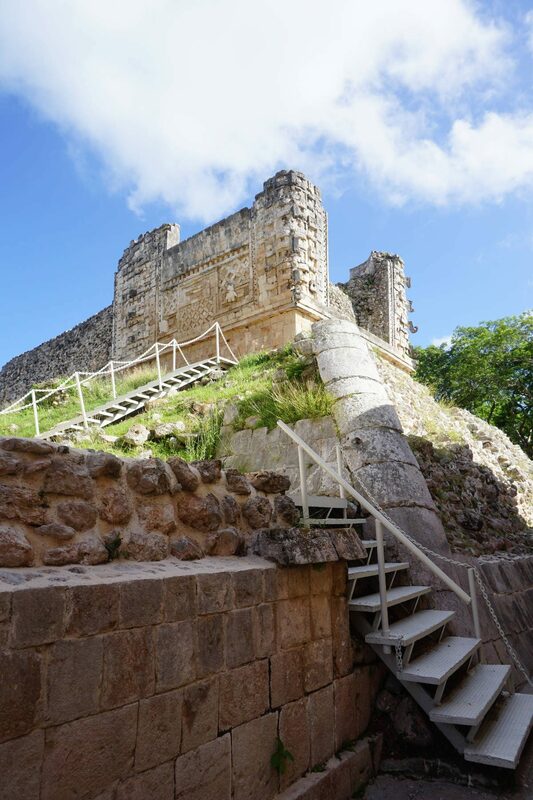 Pro Tip: Be sure to bring insect repellent with you on the journey to Uxmal and Kabah. 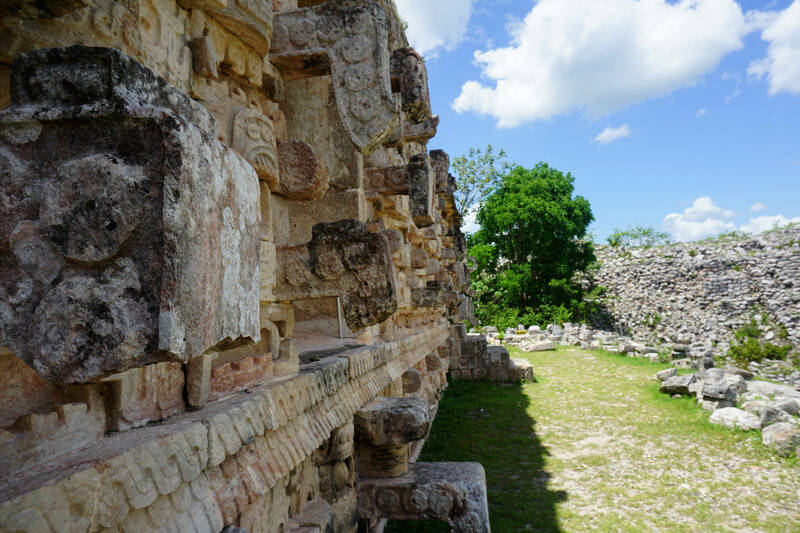 The mosquitoes and gnats are very lively in some of the wooded areas of the ruins. 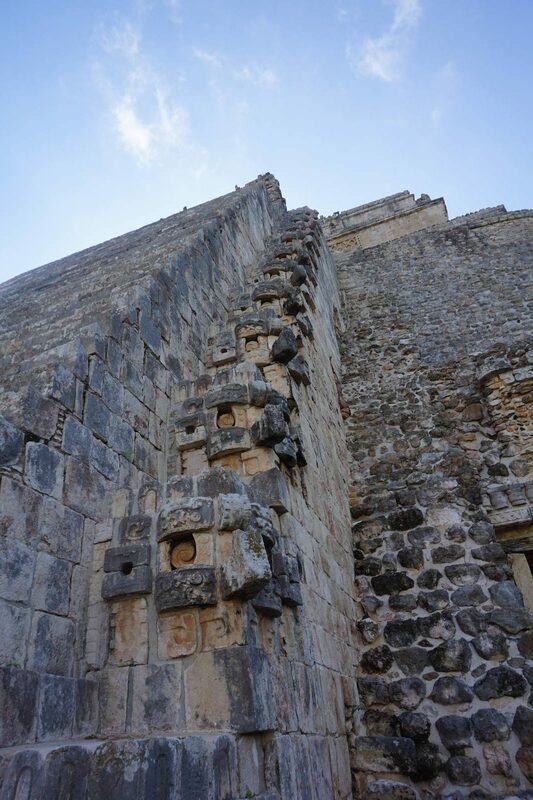 Also, be prepared for lots of iguanas. As long as you keep your distance, they will leave you alone. 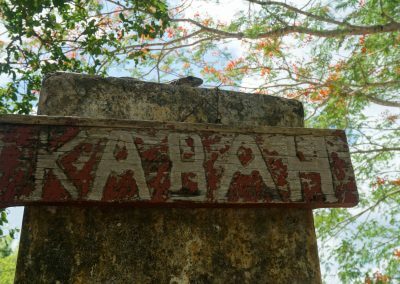 Following Uxmal, we drove directly to the Kabah ruins, which is about 20 minutes from Uxmal. 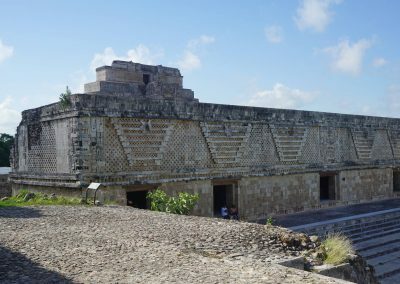 I had thought that the Uxmal ruins were quiet but when we arrive at Kabah, it was almost silent. There was only one other tiny tour group at the site when we arrived. The location is so remote that there isn’t any road noise. The Kabah site is rather large but only a small portion has been restored. 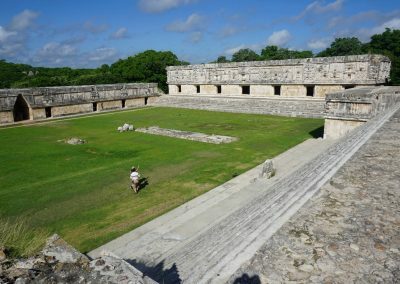 What is open to the public is only a small portion of the original site. 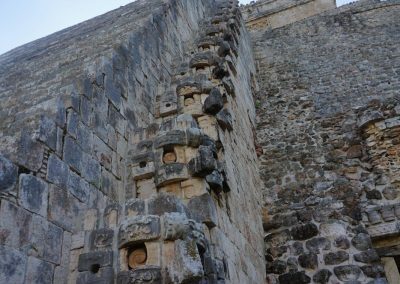 Kabah was lest impressive on size compared to Uxmal but the detail is what blew me away! 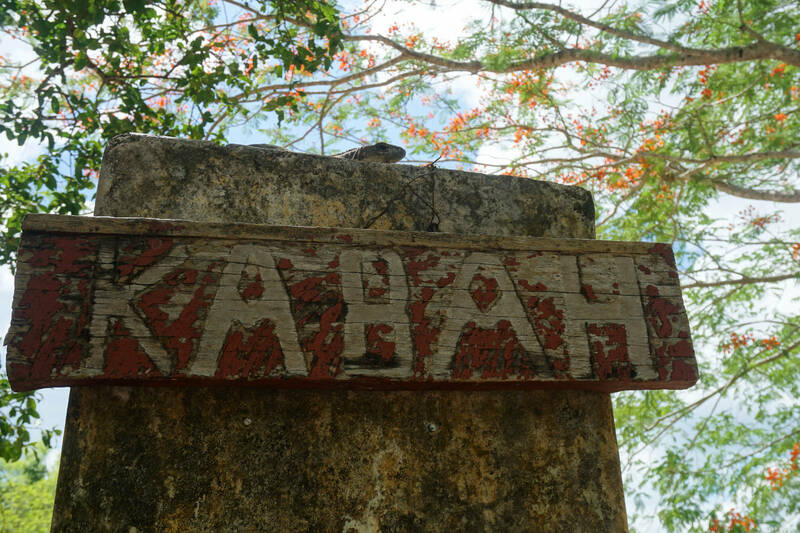 We spent about 90 minutes at Kabah before departing for Santa Elena where we were set to have lunch. 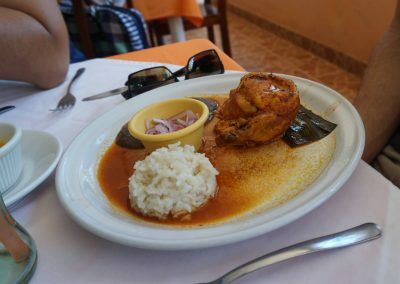 We headed to this tiny hamlet of colorful homes, tiny hotels, and restaurants. 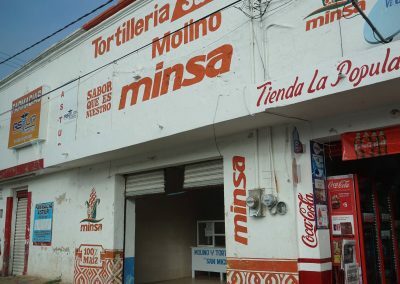 The restaurant didn’t appear to have a name but only identifiable by the huge sign out front that said “Bienvenidos”. 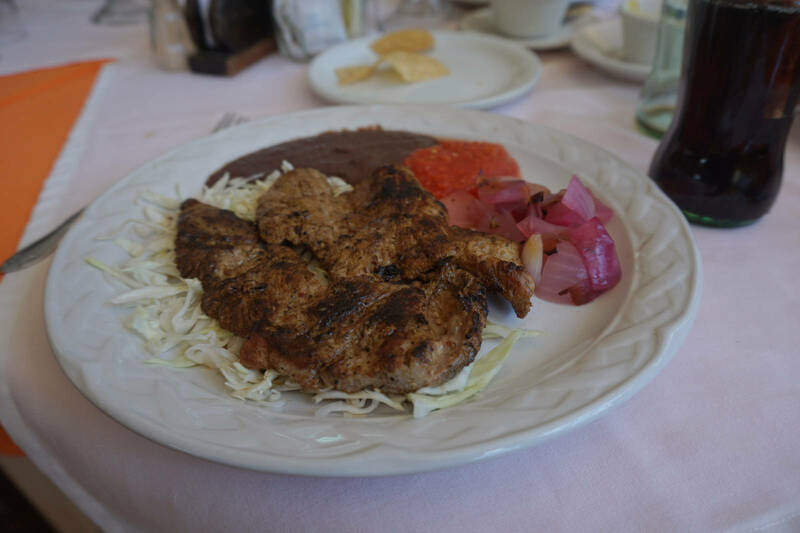 The restaurant served traditional Yucatecan cuisine served in courses. 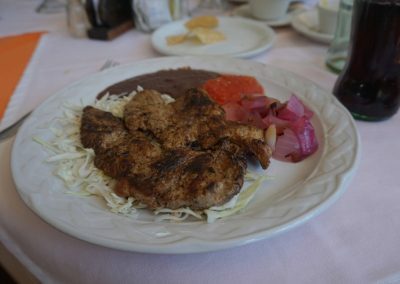 The restaurant also had a swimming pool out back that seemed to be open to any restaurant patron. We watched some teenagers from another tour group cool off in the pool. 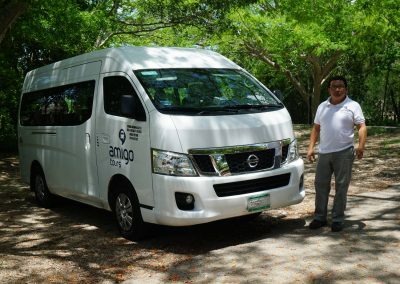 After lunch, it was time to make the journey back to Mérida. 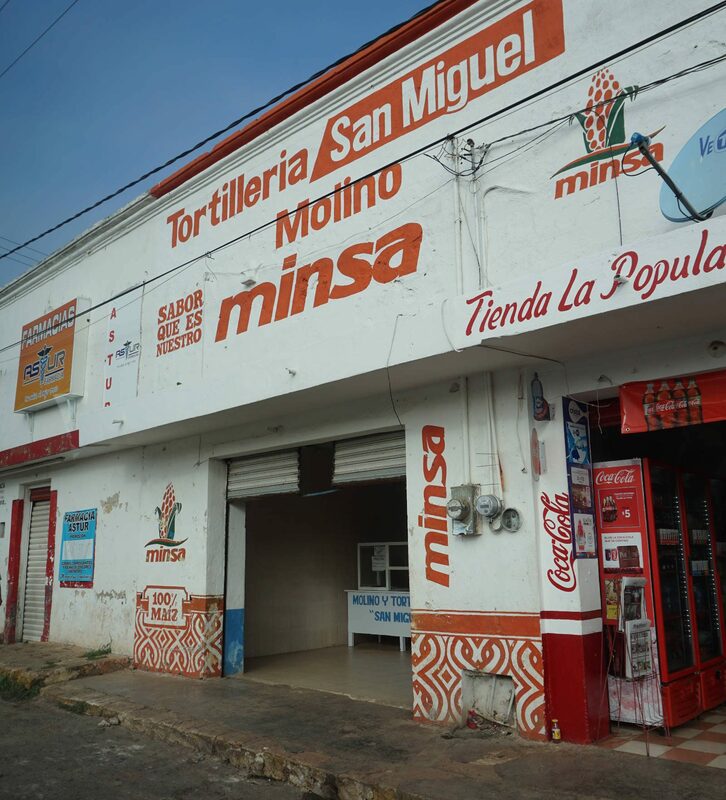 The drive from Santa Elena was just over an hour. I took the time to catch a quick cat nap before we arrived back in town. We were dropped off back at our hotel just before 3 PM. We thanked our driver and opted for some poolside drinks for the next couple of hours. 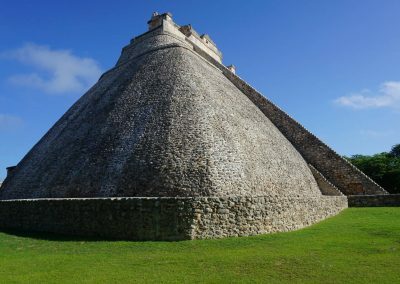 While you can access Uxmal and Kabah from Cancun and Playa Del Carmen with some tour groups, it is quite the drive. 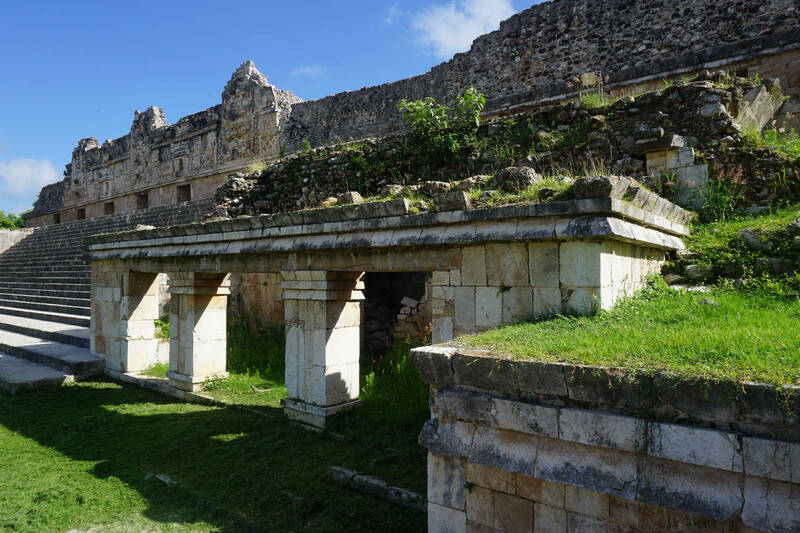 It’s best to visit these sites from Mérida as the drive is less than an hour and you can access the ruins first thing in the morning. 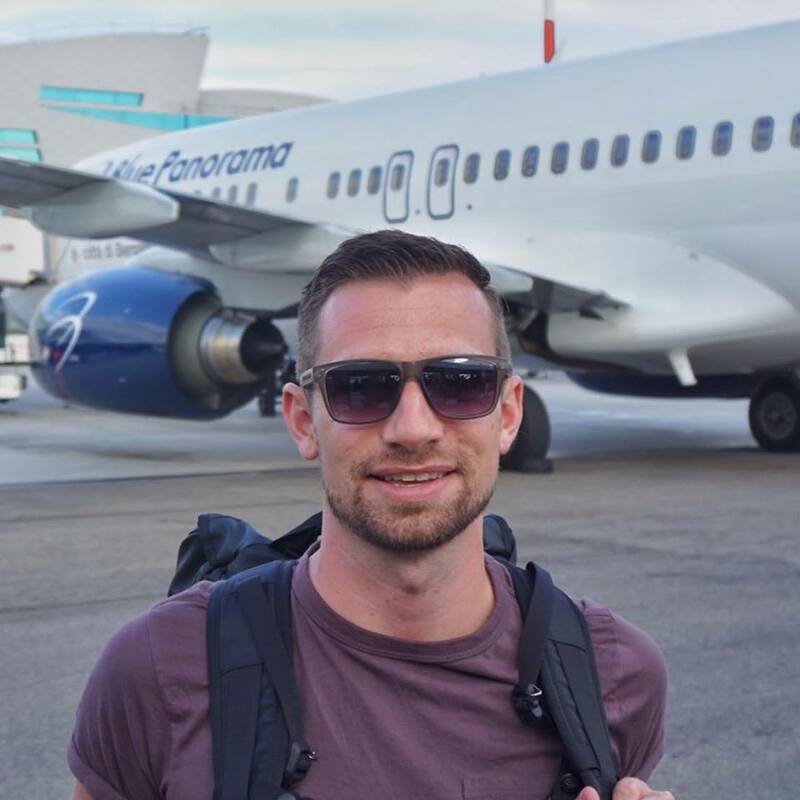 I highly recommend the early morning guided tour that we booked. It allows you to beat any possible crowds at Uxmal as well as return to Mérida fairly early in the afternoon. 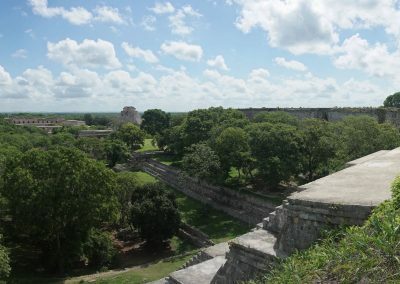 I have to say that Uxmal and Kabah are must visits if you have a day to spare outside Mérida. 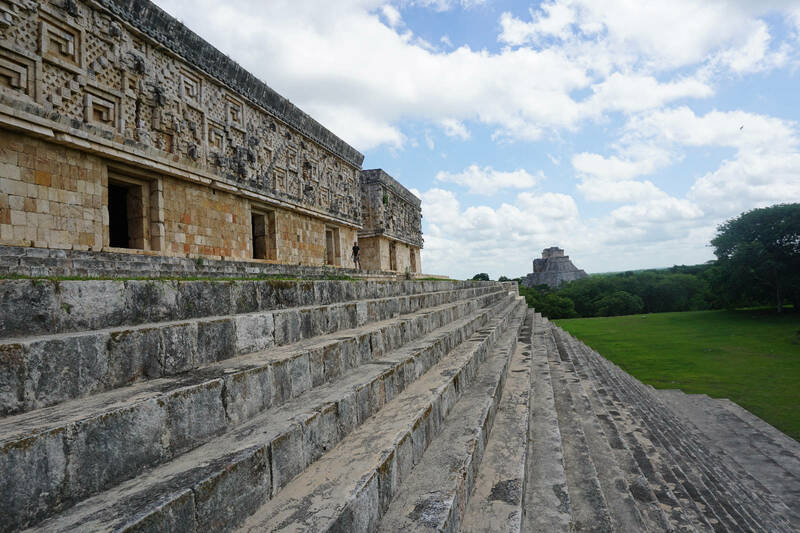 The locals won’t put down Chichen Itza, but they will be happy to tell you that you’ve made the right choice to pick Uxmal and Kabah. 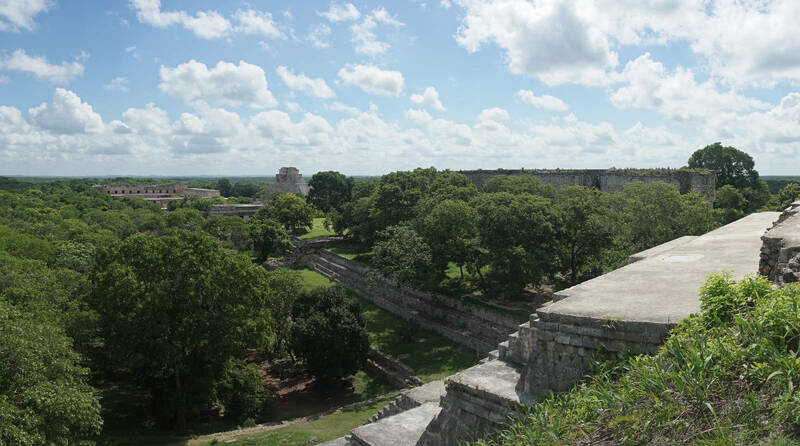 It’s crazy that these stunning condition of these massive ruins aren’t more well known!